In the 10th episode of Aider & Abettor, Avi and Sajid welcome guests Raj Jayadev and Charisse Domingo of Silicon Valley De-Bug (siliconvalleydebug.org), a community organization in San Jose focused on storytelling and advocacy for the marginalized and criminal justice reform. In their “Opening Statement,” Avi and Sajid talk with Raj and Charisse about the origin story of De-Bug, how they met (they’re a community organizing power couple), and how De-Bug became a leading voice on police violence after the police killing of a San Jose resident. They discuss the participatory defense model (acjusticeproject.org) started by De-Bug that is now spreading across the country. Raj and Charisse talk about De-Bug’s effort on bail reform and share how people can best get involved and make change, especially in the aftermath of the chaos in Charlottesville, Virginia. In their “Deep Dive,” Avi and Sajid talk Colin Kaepernick with Raj and Charisse. Raj and Charisse recount how Colin reached out to De-Bug and what they were able to accomplish with Colin’s donation to De-Bug as part of his “Million Dollar Pledge” campaign (kaepernick7.com/ck7-october-donations/). Raj describes meeting and working with Colin at a local “Know Your Rights Camp” (kaepernick7.com/know-your-rights-camp/) hosted and organized by Colin for youth to raise awareness on higher education, self empowerment, and instruction to properly interact with law enforcement. Sajid shares his decision to boycott the NFL in solidarity with Colin (thesajidakhan.tumblr.com/post/1640414…t-the-nfl-in). To close the episode, Avi, Sajid, Charisse, and Raj do their Things. In the 9th Episode of Aider & Abettor, Sajid and Avi welcome their first ever guest: Kevin “Bilal” Chatman. Bilal, born and raised in San Jose, got a new lease on life after voters passed Prop. 36 in 2012 which amended California’s Three Strikes Law. Bilal, then serving 150 years to life in prison, was released from prison and has since been a model of redemption and voice for criminal justice reform. You can see Bilal in the Emmy-nominated documentary “The Return” on Netflix (https://www.netflix.com/title/80107949) and on a powerful segment from John Oliver’s “Last Week Tonight” on HBO (https://www.youtube.com/watch?v=gJtYRxH5G2k&feature=youtu.be). 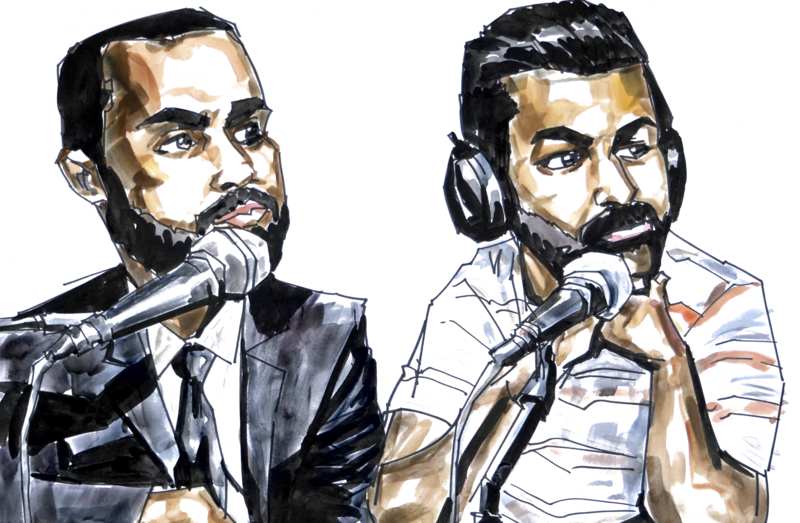 In their “Opening Statement,” Sajid and Avi talk with Bilal about his over 10 years in prison, what motivated him to change despite a life sentence, his release from prison after Prop 36, the challenges of re-entry like learning to use a cell phone and getting a job, and what it was like to go on John Oliver’s show. In the “Deep Dive” segment, Sajid, Avi and Bilal break down the recent decision by the Nevada Parole Board to release OJ Simpson from prison. They each share their take on OJ’s parole, including Sajid sharing why he celebrated OJ’s release (http://thesajidakhan.tumblr.com/post/163242361004/celebrating-the-parole-of-oj-simpson). They talk about whether OJ’s parole experience was typical, the challenges of parole release and whether or not we should consider larger scale parole opportunities for the elderly in our prisons. Sajid, Avi and Bilal finish up with their “Thing(s).” Avi shares the new Aider & Abettor Twitter handle (https://twitter.com/AiderAndAbettor @AiderAndAbettor [follow us!]) and praises Senators Kamala Harris and Rand Paul for their bipartisan effort to overhaul our bail system a (https://www.nytimes.com/2017/07/20/opinion/kamala-harris-and-rand-paul-lets-reform-bail.html). Sajid shouts out “Ear Hustle,” a new podcast generated out of San Quentin Prison produced by inmates sharing the tales of prison life (https://www.earhustlesq.com/). Bilal closes out the episode by recognizing the radio show “Street Soldiers” (https://itunes.apple.com/us/podcast/street-soldiers-radio/id1042442760?mt=2) and by talking about “The Return Project” (https://www.thereturnproject.com/).